The flip of the calendar to November brings a distinct change to the box office, with studios bringing out their heavy hitters, hoping to capitalize on the holiday box office season. This time is no different, with both a major animated film and a war movie with heavy Oscar potential hitting theaters. 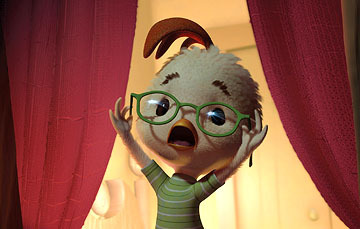 Many eyes around the industry will be closely watching the opening weekend figures of Chicken Little, which is the first solo CGI animation effort from Disney without the input of Pixar. Since the production deal between the two companies is nearly up and with Pixar threatening to take is star-imprinted rubber ball and go home, this film serves as a trial balloon for Disney to see if they can rebuild their animation empire with no outside help.